Ms Maggie Bracher is an Occupational Therapist lecturing within the Health Sciences at the University of Southampton. Maggie specialises in ergonomics, back care and moving and handling, teaching across all pre-registration programmes within the school. 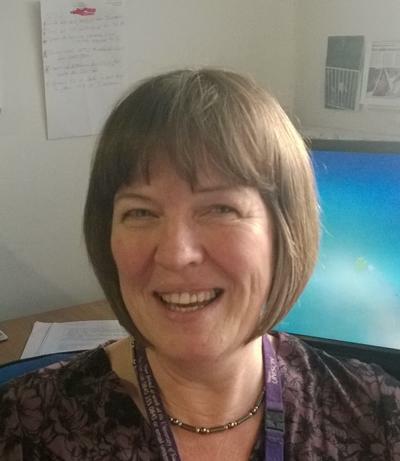 As a back care adviser, member of the National Back Exchange and moving and handling lead for the school, she also advises and updates colleagues on moving and handling relevant to professional practice in the field. To this end, I specialise in promoting, developing and supporting national and international non-traditional and role-emerging practice placements for our occupational therapy students. I also mentor therapists working in role emerging environments. My research and development interests focus around ergonomic design of equipment and systems for optimum accessibility and usability by individuals and groups of people. As an extension of this interest, I am the Occupational Therapy representative on the Southampton panel of REMAP. Additional interests include the use of animals and natural environments in therapy and these aspects are built into the Occupational Therapy pre-registration programme. In 2015, I collaborated in setting up a national occupational therapy special interest group in Equine Based Therapies. Grisbrooke, J., Bracher, M., Archibald, P., & Fenech, A. (2016). Designing major home adaptations to meet plus-size people's moving and handling needs faces some stumbling blocks. Column, 28(2), 6-9. Bright, J., Bracher, M., & Stafford, K. (2011). Complementary professions? Occupational therapy and occupational health in the emergency services. Occupational Therapy News, 19(3), 30-31. Young, R. L., & Bracher, M. (2005). Horsemastership part 2: physical, psychological, educational and social benefits. International Journal of Therapy and Rehabilitation, 12(3), 120-125. Bracher, M. (1999). Therapeutic horse riding: what has this to do with occupational therapists? The British Journal of Occupational Therapy, 63(6), 277-282. Lunt, A., Bracher, M., & Borrill, W. (1996). Learning together, apart: the development of a distance learning course for occupational therapy and physiotherapy fieldwork supervisors. The British Journal of Occupational Therapy, 59(11), 511-514. Bracher, M., & Brooks, A. (2009). Patient/client moving and handling. In M. Curtin, M. Molineux, & J-A. Webb (Eds. ), Occupational Therapy and Physical Dysfunction. 6th edition London, GB: Churchill Livingstone. Clinical assessment of clients for access to transport and fitness to drive.